Hitachi Ltd has completed its acquisition of UK developer Horizon Nuclear Power, four weeks after agreeing the purchase from E.ON and RWE. 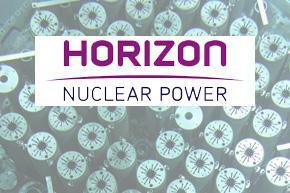 Horizon Nuclear Power was founded in 2009 as a joint venture between E.ON UK and RWE npower, with plans for up to 3GWe new capacity at both Wylfa, Anglesey and Oldbury, Gloucestershire. In March 2012, E.ON and RWE announced they would not proceed with the new-build plans. Hitachi’s purchase of Horizon as a going concern, for a reported £696 million, signals continued international interest in UK nuclear new build. Horizon chief operating officer Alan Raymant said: “We’re delighted that the deal has completed. It secures the future of Horizon, and represents a huge economic opportunity for the UK and in particular the regions around our sites at Wylfa and Oldbury. 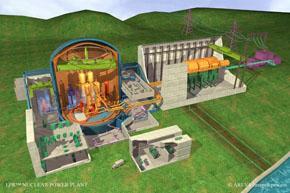 Hitachi plans to build two or three of its own 1300MWe Advanced Boiling Water Reactor (ABWR) plants at each site. Four such ABWRs are already in operation in Japan, with four more under construction in Japan and Taiwan. Hitachi’s reactor design has not yet been approved for deployment in the UK, and will have to undergo a Generic Design Assessment (GDA) governed by the Office for Nuclear Regulation. 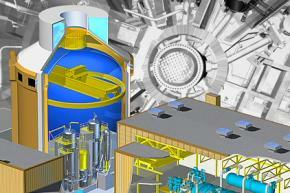 The first plant is not expected to be operational before the mid-2020s. Areva’s EPR and Westinghouse’s AP1000 are the only reactor designs to have undergone the GDA process. Hitachi’s ABWR is significantly different to these pressurised water reactors, operating at much lower pressures and temperatures but requiring much larger pressure vessels. Hitachi estimates that around 60% by value of the first reactor will be sourced in the UK, with more local input into later plant. The Japanese group has signed agreements with Rolls-Royce and Babcock International to plan and deliver the programme, and plans to establish an assembly facility for its modular construction technology in the UK. 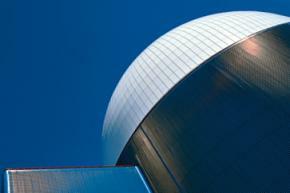 The Nuclear Industry Association presents its annual conference: Energy Choices 2012 – Engine for Growth. 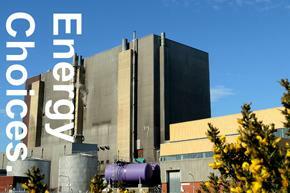 Energy Choices, now in its 12th year, is a major nuclear event in the UK calendar. It will showcase the many benefits that nuclear brings to the UK economy through current generation, new build and decommissioning. High profile speakers will unpack the key challenges and opportunities associated with delivering major infrastructure projects, maximising the potential for the UK. Attendees will also hear the latest news from Government and developers. HSB Global Standards is offering a webinar to discuss manufacturing boiler and pressure vessel equipment to ASME Code of construction and PED compliance. This one-hour long seminar will be on Thursday 6 December, 2012 at 2:00 P.M. 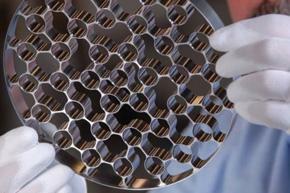 The Department for Business, Innovation and Skills has announced an award of £37.1 million to the University of Sheffield’s Nuclear Advanced Manufacturing Research Centre (Nuclear AMRC), who are working in partnership with Rolls-Royce as the lead company for the UK nuclear supply chain. The Nuclear AMRC has been awarded the funds – subject to the usual due diligence – to support its large-scale programme of supplier development and manufacturing research in partnership with key industrial members. The programme focuses on the civil nuclear new build industry, but has broad applicability across the nuclear value chain and other industries in the energy sector. AMRC director Professor Keith Ridgway said: “We are delighted with the announcement of this very important support from the Regional Growth Fund and the understanding from the Government about just how vital this work is to the UK economy. The programme we are operating at the Nuclear AMRC is ambitious and high-impact when compared to other supplier development initiatives, providing strong support for UK suppliers with aspirations to address the global civil nuclear new build opportunity, and creating process technology and intellectual property that will enable export-led growth and long-term competitive advantage for UK supply chains. Professor Stephen Court, operations director at the Nuclear AMRC added: “The Nuclear AMRC is a prime example of the kind of partnership approach which is so important to our future as world-leading manufacturers. Combining industry expertise and university innovation, we work with companies to improve capabilities and performance along the nuclear supply chain. The key to our success is that our members are the manufacturers themselves, and our dedication to helping UK businesses become suppliers of choice to the global civil nuclear industry. The news comes as Britain’s nuclear expansion plans were boosted after Japan’s Hitachi signed a £700 million deal that will enable it to start building the next generation of power plants. The facilities, which could be feeding electricity into the national grid in the first half of the 2020s, are expected to generate power equivalent to up to 14 million homes over 60 years. Business Secretary Vince Cable said of the Regional Growth Fund award: “Our energy sector is a vital part of our economy, and we are determined to maximise the opportunities for the UK from the nuclear and low carbon industries. The Regional Growth Fund (RGF) is a £2.4 billion fund operating across England from 2011 to 2015. It supports projects and programmes with significant potential for economic growth that can create additional, sustainable private sector employment. It aims particularly to help those areas and communities which were dependent on the public sector to make the transition to sustainable private sector-led growth and prosperity. 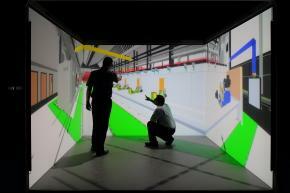 Tuesday 6 November 2012, Nuclear AMRC. The Materials Knowledge Transfer Network presents an introduction to opportunities for surface and particulate engineering in the nuclear new build programme. This timely seminar will give an insight into how the surface engineering particulate companies can become engaged with nuclear new build. The day includes an introduction to the Nuclear AMRC’s Fit for Nuclear (F4N) assessment for engineering manufacturing companies. The F4N assessment will identify any gaps in your company’s performance in terms of meeting standards expected by the reactor vendors and their supply chain partners in key areas of business operations. Companies and universities will be given the opportunity to describe their capabilities through a five minute presentation. Please contact Keith Harrison if you would like to give a presentation. There will also be an opportunity to discuss any queries you may have about engaging with the nuclear new build supply chain. The Nuclear AMRC is playing a key role in the Bloodhound SSC project to create a 1000mph car and enthuse a new generation about engineering. 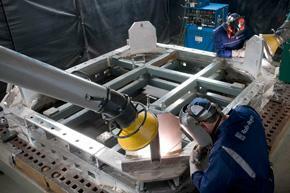 The centre’s machining team is producing seven parts of the rear sub-frame that will hold the rocket into the car, with some parts measuring over a metre in length and width. “These are high tolerance parts that we’re machining from aerospace-grade aluminium,” says Jay Shaw, deputy machining group manager at the Nuclear AMRC (pictured left with colleagues Mathew Challinor and Matt Reaney, and the part-finished rear bulkhead). Some of the frame components will be machined on the centre’s Starrag HEC1600, and others on the centres’ new Hermle C60 U MT. Delivered in October, the C60 is an extremely versatile five-axis mill-turn centre capable of working on parts up to 1.2m diameter by 90cm high and 1.4t weight. The collaboration began early in the summer, when Shaw met with Bloodhound engineers to advise on tolerance and features for the parts. 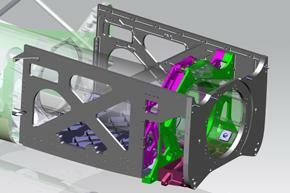 “All these parts we’re machining have been designed for manufacture through the Nuclear AMRC,” he notes. 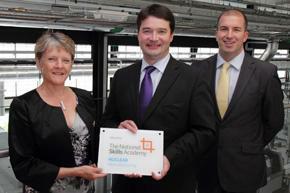 The work also involves several of the Nuclear AMRC’s members. Sandvik Coromant is supporting on tooling, while Hexagon Metrology will inspect the final parts to ensure they meet specifications. 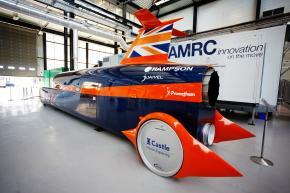 The Nuclear AMRC’s sister centre, the AMRC with Boeing, has also carried out a range of work for Bloodhound. AMRC engineers produced gearbox parts for the Cosworth F1 engine which Bloodhound will use as a fuel pump, and calibrated the thrust ring for the rocket which successfully test fired in early October.